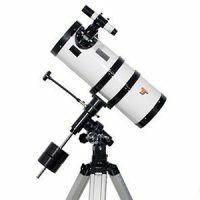 This handy and useful collimation aid is ideal for all Newtonian telescopes. No matter which day- or nighttime – main and secondary mirror can be aligned quick & easy. The collimator is adjustable. It keeps its adjustent in normal use, even after a battery change. Should it accidentally be dropped on a hard surface, it can easily be adjusted afterwards. The adjustment screws are locked by soft inserts. 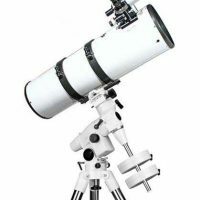 The collimator sends a red laser down through your eyepiece tube reflects off the secondary and main mirror then back again. IF your mirrors are in perfect alignment then the laser beam will disappear back down the hole it came from. 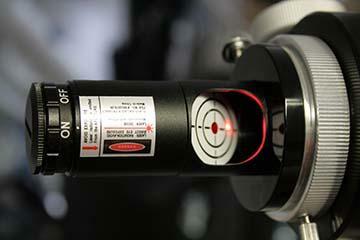 If the mirrors are out of alignment then the laser will be reflected back and land as a dot in another location.